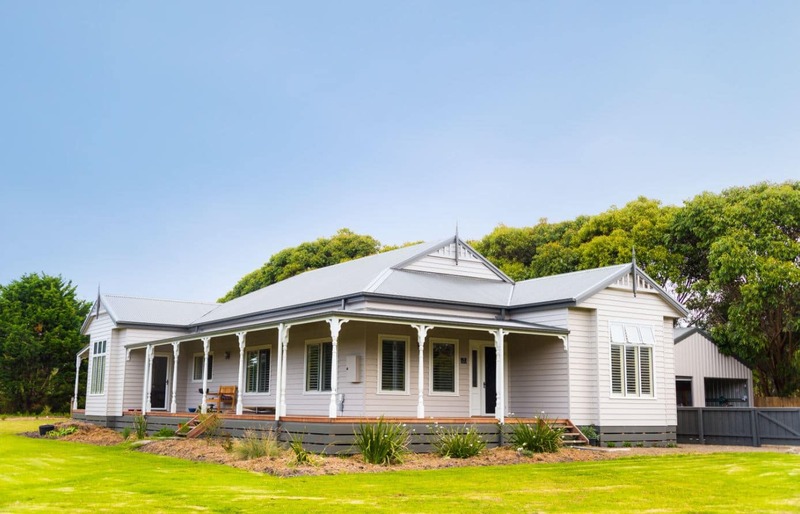 The Benalla is the perfect combination of country style and contemporary comfort. 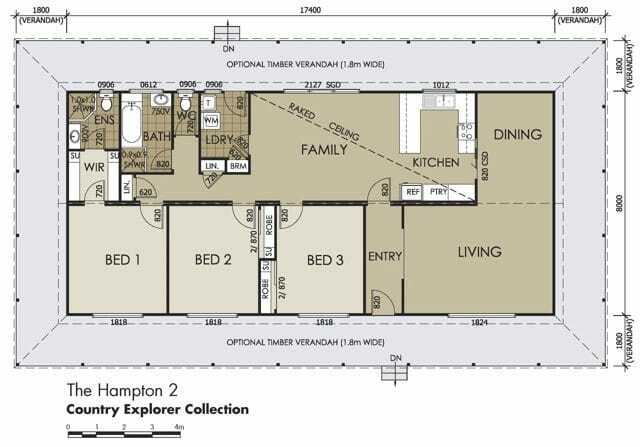 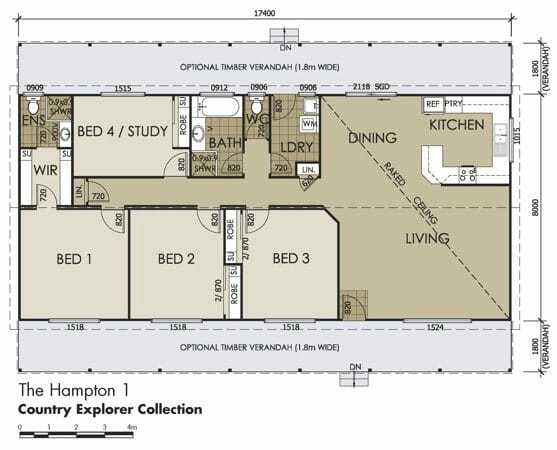 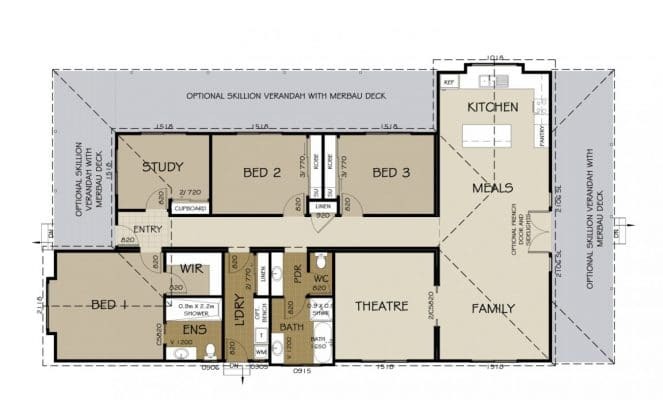 This modular home is inspired by a traditional design and provides little luxuries around every corner such as the spacious master bedroom, complete with a modern ensuite and walk in wardrobe. This spacious home has a total of 3 bedrooms, a study room and 3 social areas dedicated to theatre, family and meals rooms. 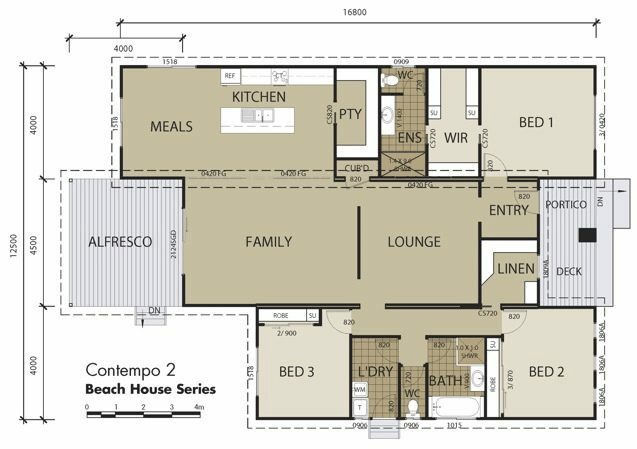 The open concept of the kitchen and entertaining areas can be further accentuated with optional 2.7cm ceilings. One of the advantages of modular home building is the ability to customise elements and the Benalla comes with a number of options including a 2.4m skillion verandah and deck, or a 24-degree roof pitch which has both aesthetic and functional value. The Benalla is the perfect option for homeowners who want to enjoy a comfortable lifestyle in a brand new home, without the dealing with the drawn out process involved with traditional building.